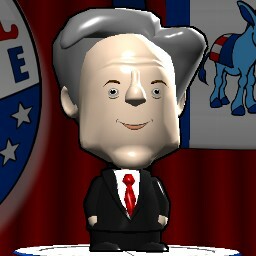 Josiah "Jed" Bartlet hails from the great state of New Hampshire. He was a Congressman, Governor, and has led the country as president for eight years. Let's see if he can get elected again! Hi, I am LionDemocrats and I love your westwing characters and I downloaded them all. Can you please tell me how you made them? How did you give them such strong statistics? I want to make my own.